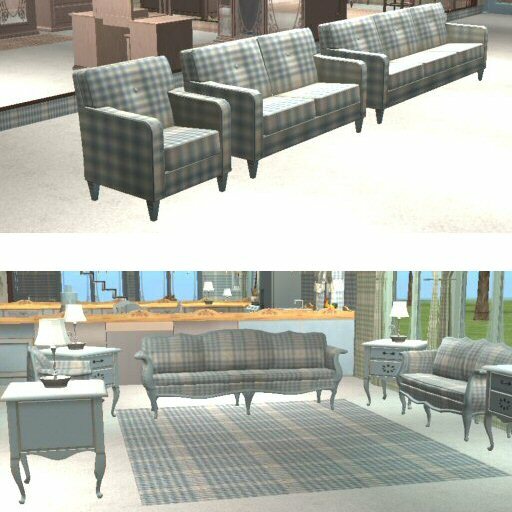 Mod The Sims - "A Little More Country"
I'm really sorry but the blue is just not working without recoloring the floor mirror also, so I've had to reupdate the files. Oddly the pink and green work fine, I've tried the blue about 20 times now and it just won't work. Unless I have the recolor of the actual mirror in my download folder. 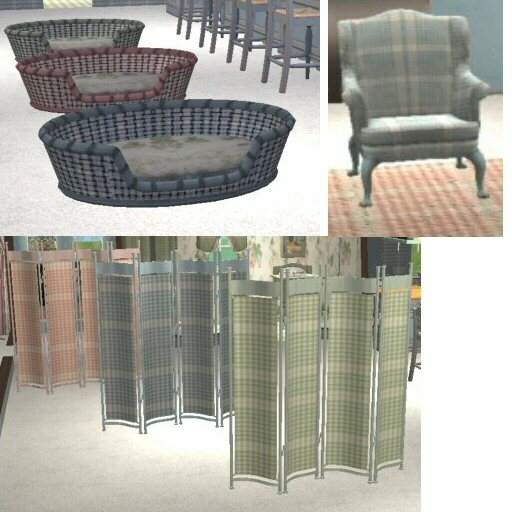 I've re-colored the Grand Trianon set to complement my re-colors and to give everyone lots of items to mix n match. There are actually only two files that are, needed for this wonderful creation by the Dream Team. The set uses the resources from the Bedroom Floor Mirror. So you must have this file in order to use these re-colors. I highly recommend that you get this full set; it's one of the nicest I've come across. I especially love the windows and the bunk beds. I did not make photos of the bathroom items which use the expensive toilet for it resources. 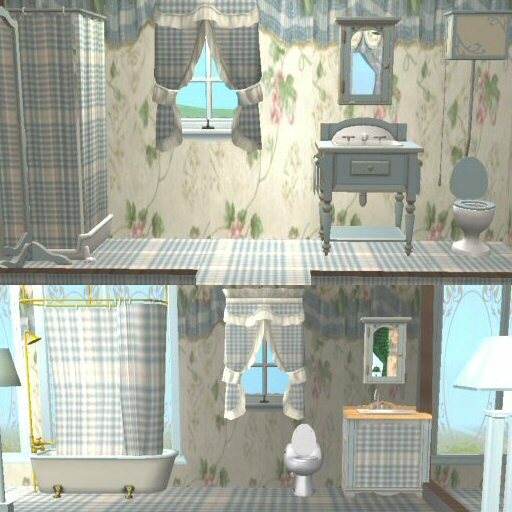 I did recolor the toilets in a very subtle color of the 3 afore mentioned colors. 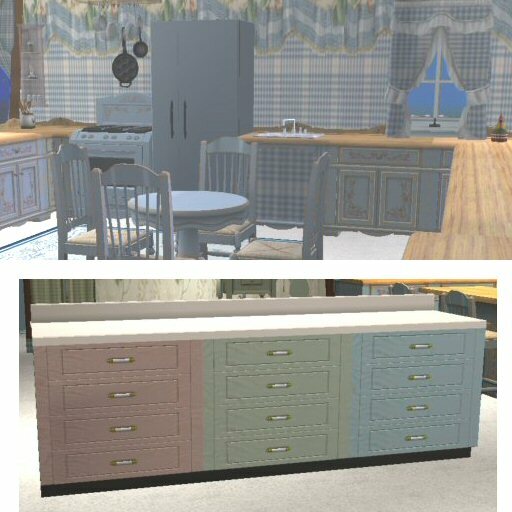 I re-colored the Counter Culture Cupboards to allow use of meshes for cabinets that are part of the Counter Culture Set by MaryLou & Numenor you only need these if you would like the wall cabinets for the kitchen I have pictured. 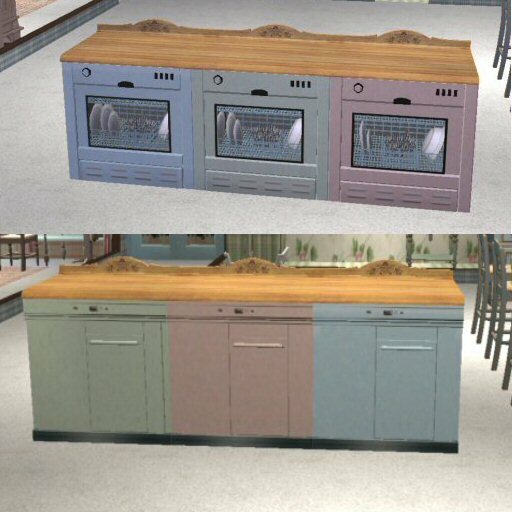 The CC recolor will still work for the Maxis CC Counters. I love this set myself and use it a lot. I highly recommend this set too. Additional Credits: SimPE and CEP creators for their wonderful programs. The Dream Team, MaryLou & Numenor, MsBarrows for all their wonderful creations. Thanks to everyone who helps in anyway to make these items possible. Especially thanks to MTS2 for this wonderful site.